These situational interview questions are asked to determine the candidate's real suitability for the job opportunity. Be well prepared by reading through these frequently asked situational questions with excellent interview answer help. A situational interview is an interview where the candidate is asked to evaluate a specific situation and discuss how he or she would handle it. Situation-based questions are designed to explore a competency or behavior required for successful performance in the specific job opportunity. Although situational interview questions are often asked in a hypothetical format it is best to answer with concrete examples of how you have previously handled similar situations. This provides the interviewer with valid evidence of your skills and abilities. Competencies that are key to success in most jobs include communication skills, interpersonal skills and the ability to make sound decisions. Expect situational interview questions that assess these competencies. How would you handle a situation where you had to rely on information given to you only verbally to complete a complex task? Your listening skills are under the spotlight here. Your situational answer should include the following - the ability to actively listen, ask questions to clarify, rephrase the information back to the sender to ensure accuracy and successful completion of the task. Give me an example of a complex process or task you had to explain to another person or group of people. Are you able to effectively express yourself verbally? Include the ability to adapt your level of communication (words and terminology) to the target audience, actively listen to questions and requests for more information, check for understanding by asking for feedback. Tell me about a challenging writing assignment or important report you had to prepare recently. Your situational or behavioral example should demonstrate an ability to clearly express your ideas in writing. Include how you are able to gather, organize and present data in a logical and concise manner in a style appropriate to the target readership. Most jobs require interaction with other people - colleagues, customers, managers. Prepare for situational interview questions that explore your interpersonal effectiveness. We have all had to work with someone who is difficult to get along with. Has this happened to you and how have you handled it? How sensitive, empathetic and flexible are you? Your example should show how you are able to select the right approach to the situation or individual. Acknowledge differences and display empathy to others. Focus on the situation not the person. Anticipate reactions and prepare to deal with them. How would you handle a situation when a colleague is less cooperative than you need or want? Provide an answer to situational interview questions like this that demonstrates your use of an appropriate interpersonal style to gain commitment, to ask for help and to encourage involvement. Show how you use open communication and build self-esteem to gain cooperation. Tell me about two of your colleagues/customers/employees who are very different to each other. How do you interact with each one? Demonstrate your ability to adapt your behavior to meet the demands of each individual. How you are able to determine the best way to approach each individual? Describe a situation when you had to persuade someone recently to accept an idea/plan/product. This focuses on your persuasiveness and ability to build rapport with others. How did you select the right approach for the situation? How did you go about establishing rapport with others? How did you demonstrate the benefits of your idea or plan and show them what's in it for them? Every employee is required to make decisions as part of their job. Situational interview questions will explore your ability to use your judgment to make the right decisions. Tell me about a good decision you made recently at work. Your example should show how you gather all the necessary information to make a decision. How you consider available resources and possible outcomes before making your decision. Tell me about a recent problem you faced at work and how you found the best solution. How did you go about analyzing the problem before considering possible solutions. Describe how you weighed the pros and cons of each option before deciding on the best solution. How would you deal with a significant mistake you made at work? The ability to recognize and acknowledge one's mistakes is a sign of maturity and self-growth. Your answer needs to demonstrate how you use your judgment to review the situation and evaluate information to determine why it happened and what measures you put in place to prevent it from occurring again. What recent change have you made at work that had a positive outcome? The focus is on how you used your initiative to generate ideas for improvement and develop new approaches. How did you evaluate what needed to be changed, how did you decide on which changes to make and how to implement them? 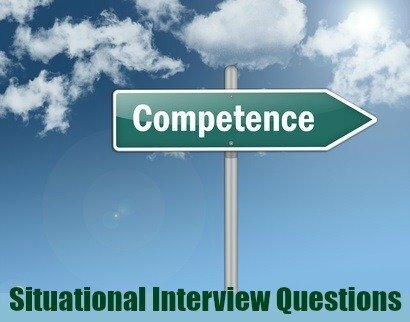 View situational interview questions with sample answers for other core competencies by clicking on the links below. Expect situational interview questions that assess the 12 core competencies identified as critical to successful job performance.